Cancer is scary. Sometimes you don’t see it coming but it changes everything. But can cancer be prevented? While there aren’t any direct cures for cancer, there are some small things you can do to stay healthy. Making these lifestyle changes can help you live a healthier and happier life. Check out these five tips to reduce your risk of cancer and live a healthier lifestyle. One of the best ways to prevent cancer is avoiding tobacco. Tobacco is the number one cause of cancer. Because the substance comes in so many different forms, there are many ways it can cause harm to you. Smoking can cause cancer of the lung, mouth, throat, and many more. With over 12 different types of cancers linked to tobacco use, it’s important to avoid it whenever possible. Not only is using tobacco harmful but so is being around it. Secondhand smoke can have just as many effects on you and your body and smoking itself. Avoiding tobacco can help reduce your risk of cancer and can be a healthy lifestyle choice for anyone. What you eat can also affect your personal health. Having a balanced and healthy diet is another way to prevent cancer. Choosing the right foods means getting your nutrients in a natural way. But what is considered a healthy diet? This means eating lots of fresh fruits and vegetables, as well as avoiding high-calorie foods. It’s also important to stay away from processed meats and fatty foods. Maintaining a healthy diet can be difficult, especially when you’re a busy parent. But all it takes is making the right choices when you’re at the grocery store. While eating right is one way to reduce your risk of cancer, getting exercise is another important part of being healthy. Staying active can help keep you fit and healthy while also reducing your risk of cancer. Getting in shape can be a great way to keep your body functioning properly. Not only does regular exercise help control your weight, but physical activity on its own can prevent some cancers. Making some time for a little bit of exercise can make a huge difference in your life. Skin cancer is one of the most popular kinds of cancers out there. But protecting yourself from the sun doesn’t mean you can’t be outside. You just have to be careful. Taking advantage of the shade and using sunscreen regularly can provide you with the protection you need. 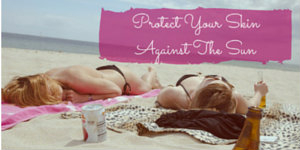 It’s also important to stay away from tanning beds and other harmful tanning tools. Taking the time to learn more about skin cancer can help keep you safe. Because the sun is always around, it’s important to make sure you’re being careful. Making regular trips to the doctor can also be one of the most effective ways to prevent cancer. Doctors can help make sure you’re up-to-date with your immunizations. These can be important for preventing viral diseases. While visiting the doctor doesn’t necessarily prevent cancer, it can help detect problems early on. Seeing a doctor can also help you figure out what you can do to stay healthy. Being proactive about your health can help you live a happy and healthy life. Taking care of yourself can help you reduce your risk of cancer. While none of these tips can completely prevent cancer, they are great lifestyle choices you can make. Check out our blog for more tips for living a healthier life.